Kevin Sully is taking the weekend off of analyzing the pro scene, and instead I’m taking a look at Saturday’s NCAA Championships. Complete results are available at BranchSportsTech and the USTFCCCA has a complete recap of the action. Is New Mexico the best women’s team ever? 13th overall: Rhona Auckland, junior eligibility, first year in the NCAA from Scotland, 19th at last year’s World Cross Country Championships. 5k PR: 15:27. Two teams in NCAA Championships history have scored less than the Lobos’ 49 points, the 1981 and 1982 Virginia squads. These were the first two NCAA women’s cross country championships, and the 1981 race had only about half of the nation’s best teams (the other half went to the other national championship race, organized by the AIAW.) I think it’s fair to say that women’s collegiate cross country is much different now than it was in 1982, but those Virginia teams deserve some examination. So who was on those two Virginia teams? Dana Slater, 26th in 1981 and 12th in 1982. Transferred from Colorado and was 15th at the 1980 Boston Marathon. Marisa Schmitt, 19th in 1981 and 18th in 1982. Two athletes ran in 1981 NCAA meet but not in the 1982 race: Aileen O’Connor, who was 3rd in ’81 and then 20th at the ’82 IAAF XC Worlds (10k PR: 33:28), and Lisa Welch (Lesley’s sister), who was 8th in ’81 (3k PR: 9:11). O’Connor was ill for most of that fall and Welch had a hip injury. Just six days after the ’82 NCAA meet, the Virginia team defeated the Nike-funded Athletics West team for the TAC cross country championship. While it is true that cross country is much different now than it was in 1982, those Virginia teams were pretty deep. If then-coach Martin Smith (now at Iowa State) had been able to avoid the injury/illness bug, the ’82 team might have had a case for the greatest ever. I think this year’s New Mexico team was better, but it’s not as much of a difference as I expected when I started researching this. It’s easy to think that all coach Joe Franklin had to do was fill out the lineup card, given that he landed three proven transfers and a big international recruit. But it’s not quite that simple. 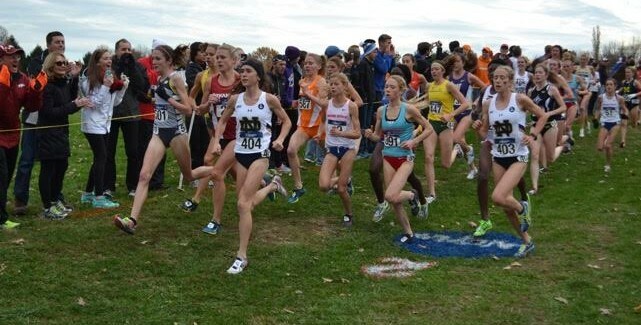 Teams with deep levels of talent have cratered, and not just in cross country. People used to say that Sparky Anderson only had to fill out the lineup card too, but he managed to avoid clubhouse strife with Cincinnati’s Big Red Machine and Detroit’s “Bless You” Boys, which was not as easy as it sounds. Likewise, Franklin said he was able to keep this virtually all-new team happy, healthy, improving (some by leaps and bounds), and getting along. The women started getting tired of all the media attention—it’s not like distance runners are used to it—but they got to the NCAA starting line in one piece and ready to roll. Whether or not they were the best college team ever is open to some debate, but I think on Saturday they ran the best college race in history. Oregon’s Edward Cheserek won his third straight NCAA cross country title and in dominating fashion. Three others have won three NCAA titles, namely Gerry Lindgren (Washington State), Steve Prefontaine (Oregon), and Henry Rono (Washington State). None of the other three won theirs in a row; Lindgren and “Pre” redshirted a year while Rono had a (very) bad race his junior year. 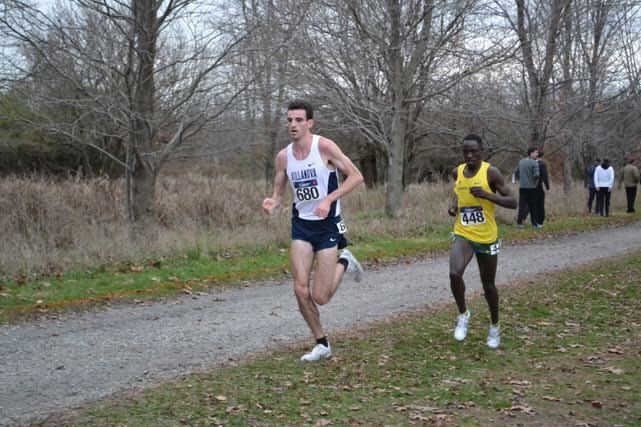 So is Cheserek the greatest collegiate cross country runner of all time? We could look at track times to compare these four athletes, but this is not track. It’s cross country. That makes analysis a bit more difficult. Instead, I’m going to look at each championship race for each of the four candidates. Freshmen were not eligible for athletics in 1965. Lindgren never lost an NCAA Championships race, but didn’t face great competition until 1969. He gets extra credit for winning a high-altitude race in 1967 and handily beat guys from Air Force and Colorado. The only blemish on Prefontaine’s record is the ’69 race, but losing to one of the greatest Americans of all time while just a few months out of high school almost shouldn’t count. His three victories were by comfortable margins but not against great competition until 1973. Rono’s wins got bigger and bigger every year, and he beat guys like Craig Virgin (’75 NCAA XC champ, future 2-time world XC champ) and Alberto Salazar (the superstar of the early 80s). He does have that stinker of a race in 1978, though, and it should be noted that he was a 24-year-old freshman. Cheserek’s run on Saturday was truly dominant, and as a freshman he beat the defending national champion. I suppose that if we’re going to pick the greatest of all time, we need to look at more than just the NCAAs. The Pac-8 didn’t have a cross country championship meet until 1969, where Lindgren and Prefontaine ran to a near dead heat in what TFN editor Garry Hill calls the best cross country race he’s ever seen. Lindgren only won one of the three Pac-8 Northern Division meets he contested (he lost to Oregon State’s Tracy Smith in ’66 and Pre in ’67) and had another loss during the ’69 regular season. What happened to Rono in 1978? The leaders briefly went off course, Rono slipped and fell in the Wisconsin snow, a bad ankle tightened up, and he basically packed it in. That appears to the only blemish on his collegiate record (twice that year he looked defeated by Salazar and pulled out the wins at the end) but it’s a big one. Cheserek himself only has two losses in his collegiate cross country career, and one of them, last year’s regional, was in what amounts to a qualifying heat. So who’s the greatest? I still don’t know. At the moment I’m inclined to say Prefontaine, but check back in a year. The big story in the men’s team race has two aspects: that Syracuse upset Colorado for the team championship, and the fact that they pulled ahead in the final mile, which is where the Buffalos have virtually always won their championships. Looking further into the numbers reveals something more unusual, though. It’s a truism in cross country that the winning team is the one that gets their fifth runner across the finish line first. It doesn’t always happen that way, but it has in 54 of the last 66 men’s NCAA Championships race. This year was one of those other 12 occurrences; Colorado’s 5th man was 33rd (25 team points) while Syracuse’ was 47th (35 team points). More unusual yet, though, was the fact that Colorado got six men across the line before Syracuse got their fifth in. Syracuse won it with their 2nd and 3rd runners, both of whom were in the top ten. The last time this happened in an NCAA men’s championship race was in 1960. That year, Houston went 1-2-6-8 with their first four and their fifth was way back in 37th. Three other teams got five across the line before Houston did, and Western Michigan got six in first. But the Cougars were so dominant up front that they easily won anyway. Cross country was more than a little different back then. The NCAAs were an all-comers affair; only 12 teams showed up that year, and none from further west than Colorado. Houston only entered five runners at the NCAAs; they had a sixth, but freshmen weren’t eligible for sports back then. Less than a week later they lined up and won the AAU championship. But some things don’t change; there was grumbling about Houston’s mostly-foreign team, which included several Aussies. 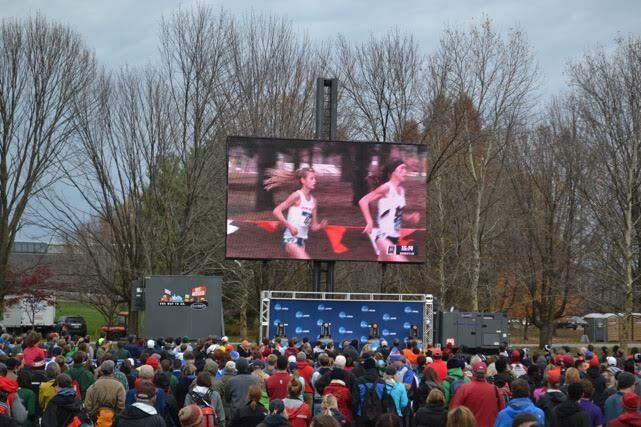 Notre Dame’s Molly Seidel became the first woman to win both a Foot Locker national championship and an NCAA individual cross country title. Why was it never done before now? Is it the added pressure of foreign competition? Maybe. Seidel is just the fourth out of the last fourteen NCAA champions to come out of the US high school system. But those are the same pressures that male athletes face, and men have done the Foot Locker/NCAA double. Which is not to say that it’s easy for men to do it. Only five have ever done it, and two of them (Cheserek and Bob Kennedy) were good enough to be multi-time NCAA Champions (a third, Dathan Ritzenhein, probably could have won again if he hadn’t left school early). Seidel’s career arc is a bit different than the others. She didn’t run at the Foot Locker meet in her junior year due to injury, she didn’t run blazingly fast high school track times, and skipped the national high school invitational after graduation. Her college career started slowly. She wasn’t predicted to win the NCAA 10k last June but did and by a big margin. She took a long and gradual course to the top, and I think that’s the key. Or maybe it’s just really, really hard to be at the top at multiple levels over a long period of time. Do you know how many men have won both a Heisman Award and the NFL MVP? Just four, and none in the last 25 years. This is the event of the season. Maybe I’m wrong, but I think people like going to events more than they like going to see sports. A major college football game is an event; it has a large and boisterous crowd, tailgating, cheerleaders, a marching band, and so on, and there are people who go and aren’t totally plugged into the game itself. Minor league baseball has good attendance these days but very few in the crowd are invested in the outcome (and MLB has some of this too). No matter how corrupt FIFA and UCI become (or, more likely, always were and only now are we becoming aware), people will always be excited about the World Cup and the Tour de France because they are so much bigger than the sports themselves. The Olympics will always save track’s bacon because it’s a huge event that people watch simply because it’s a huge event. College cross country has basically one meet a year that is a big party, and that’s the NCAA Championships. As such, I think it’s important to put our best foot forward at the championships. Terre Haute vs Louisville: All of the last twelve championships have been held at one of these two sites, as will at least the next two, and it doesn’t appear that any other site is interested in bidding. So that’s the comparison to make. Louisville is easier to get to and offers so much more as a city that I generally haven’t actually stayed in Terre Haute when going to meets there. That’s where Louisville’s advantage begins and ends. In terms of a facility for the race, Terre Haute’s Lavern Gibson Course beats the pants off of Louisville’s Sawyer Park. You see it right away; traffic into Sawyer Park–off a two-lane suburban road–can get backed up significantly, while the Gibson course is out away from the city and with smooth traffic flow. The course in Terre Haute offers ease of movement for spectators and even the opportunity to watch virtually the entire race from the top of a hill, whereas sightlines in Louisville are rare and easily clogged. Terre Haute has permanent concessions stands and real bathrooms. The Gibson Course is a major college athletic facility (in which Indiana State has invested significant money) whereas Louisville borrows a city park for a few weekends a year. Webcast: Since I was there in person I did not watch the webcast of the meet. I heard it was horrible. I don’t know who is responsible for that but at least part of the problem is due to the course itself: stationary cameras cannot capture much action in Louisville, whereas Terre Haute has built broadcast capability right into the course. On the other hand, I’m not sure how much it matters for promoting collegiate cross country; as long as the meet is at noon on a Saturday it will be going up against college football, and it will never be on TV or find much interest in its webcast. If, on the other hand, the races were at 10:00 and 11:00 (Eastern time), then the meet would have a chance of getting live media coverage. Some of the other issues of the online component were the audio disconnections (the initial 10 min of the women’s webstream did not include any of the announcers but we could hear the music at the venue playing) loss of the wireless connection to the camera in the lead car during the women’s race (this was fixed for the men’s race), lack of live scoring/placement updates on the live results website for the women’s race (again, fixed for the men’s race) and lots of cutaways to either the fans running around to watch the race or back to the announcers who provided filler as the races progressed. I agree that the Terre Haute layout is definitely more viewer friendly for the fans near and far, but one would have hoped NCAA would have made enough precautions and checks to make sure things worked so we could still follow the meet from whereever we are. But then again, the coverage WAS better than the majority of the XC meets that are typically held over the course of the season. Problem with Terre Haute – it was COLD and WINDY in 2013, and probably will be again and again. So – a point against for athletes and spectators. Really, in 2013 it was bleak, Siberian, let’s all go indoors. Also, the points in favor of viewers really don’t count IMHO. That’s like saying Beijing is a great place for a marathon because you can get around the city (if true). Athletes first, last, and always. As for the webcast – it’s one reason XC and T&F are seen as mostly rinky-dink sports. If you can’t even get it on TV in a digital age that makes it easy, well then, just Derp. I had no problem with the announcing – Bob is always great and gracious even if his companion was a bit…informative. But the technical problems are really, really, really important to overcome, and nobody in our sports seems to care enough. Presentation is everything – not slick, but competent. You wouldn’t write “ain’t” and “cain’t” in an article because it would reflect on your competence in other things. Same for T&F/XC – if you’re so internally focused that you don’t care about your viewers, don’t expect them to care about you. What does it say about the NCAA that the production on this weekend’s NXN was light years ahead of the National Championship in Louisville?